No matter what kind of vehicle you drive, sometimes you need expert car repair service. If you live in the Tucson area, we can help. We’re TCR II Suspension Brake & Alignment, home of Pima County’s leading car mechanics. We’re a family owned and operated business, and we’ve been delivering professional, affordable car repair service. Our certified, highly-skilled mechanics specialize in brakes, clutches, alignment, and lift kits, yet we can handle any kind of auto repair. We use the most advanced automotive technologies and all the right tools to provide major or minor auto repair service to all foreign and domestic vehicles. 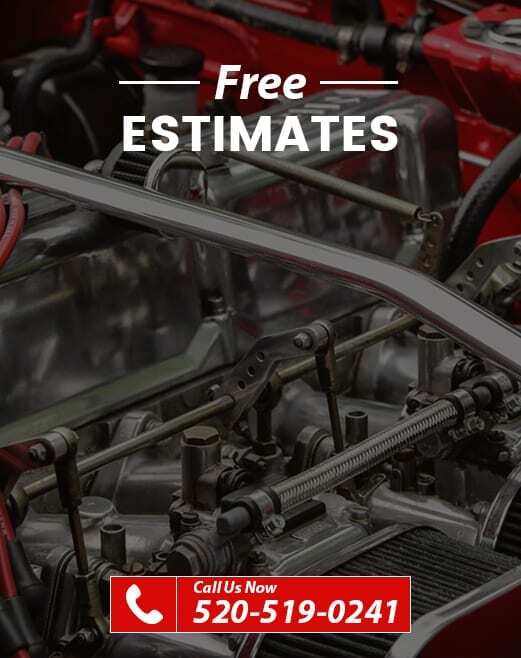 Whether you need work on your suspension, radiator, shocks, electrical system, bearings, or air conditioning, or even if you just need a tune up or oil change, we can help. Your car is your most important investment, and we can take care of it with our expert repairs at an affordable price. With many years of serving Tucson’s car repair needs, we understand and live the local car culture. From Tucson’s crowded downtown streets to the wide open spaces of southern Arizona, we know that your freedom is based on mobility. We understand the importance of keeping you on the road. So, when your “wheels” aren’t working right, your personal life and business can suffer. That’s why our sole focus is on quickly troubleshooting your car’s issues and providing affordable solutions that keep you on the road. When you stop by our shop, you’ll see the cleanliness and pride that we put into our work. We deliver top quality in every car repair service that we provide, so you’ll have complete confidence in your car’s performance. Whether you drive a domestic or foreign model, TCR II Suspension Brake & Alignment is your best choice for any kind of car repair. We put a comprehensive guarantee on each job, and we provide the best warranty in southern Arizona. And, to keep you on the road with minimal downtime, we offer easy access to financing for the repairs that you need today, without waiting.